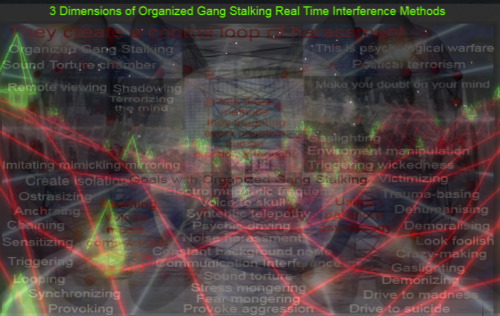 Here is an illustration of some of all organized gaang stalking method they using to achieve their goals of destruction and these strategis is covertly. 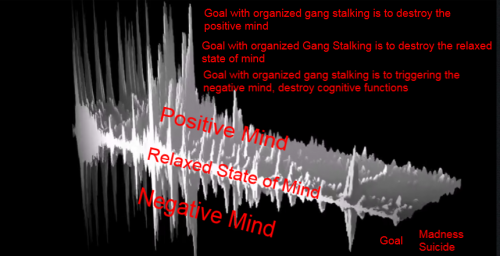 In the middle of this illustration is the human mind, consciousness or the self, and they targetting the mind, consciousness or the self with these covertly psychological warfare strategies to destroy the relaxed state of mind, destroy every human life quality, and then triggering every negativie emotion or thought, then stresses the human ego with fear, stress, panic, hunting, targetting the mind with voices, looping psychic driving. 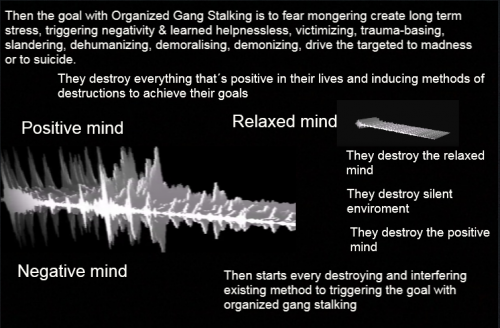 Systematic sound-torture blocks the victim´s capacity for conscious processing. They walking outside your apartment and shooting firecrackers for 3 weeks and 3-6 hours every day. 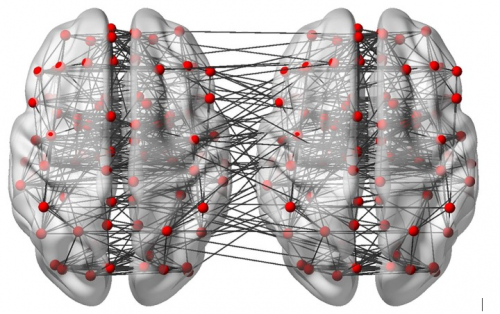 Who in Sweden has resources to shooting firecrackers for 3 weeks and 3-6 hours every day? 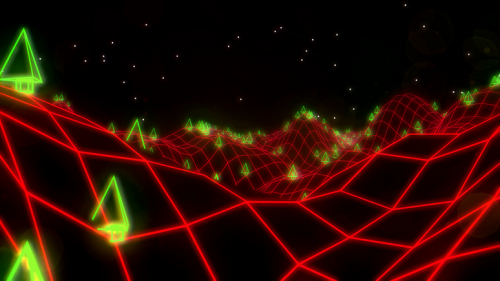 It´s firecracker shooting between 70-140 hours around your apartment (some day 3 hours, some day 5 hours). 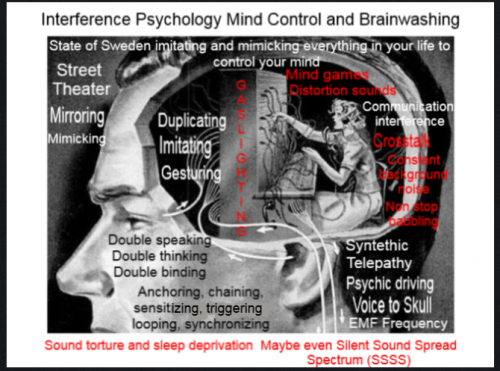 Who in State of sweden has these resources and who has access to firecrackers when they even shooting firecrackers all year, when they just selling these at easter times and new years times? 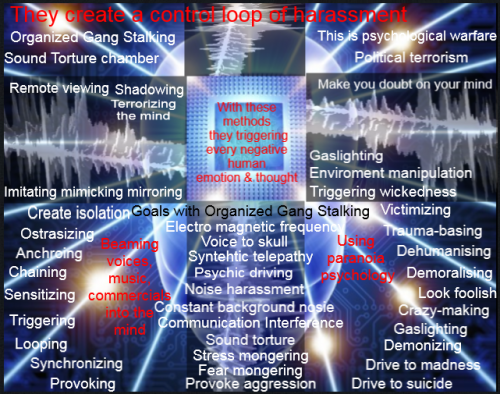 In same way they using firecrackers, in same way they using machines, power tools, trucks, cars, helicopters, honking horns, and in same way they using these strategies they behaving in this way on a psychological level; communication interference, crosstalk, non-stop babbling, mind controlling, brainwashing, gaslighting, and in same they crete a emotional and social enviroment of mind games, enviroment manipulation, wickedness psycyhology, paranoia psychology, walking around and fear mongering, stress mongering. 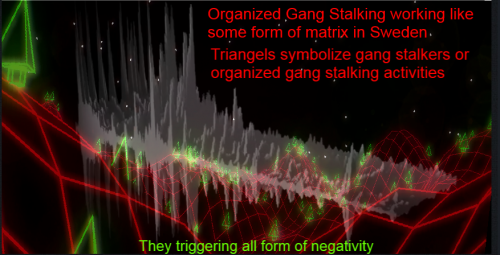 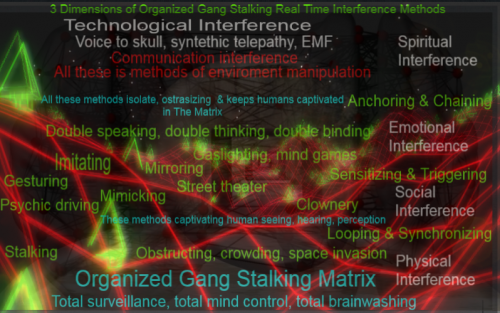 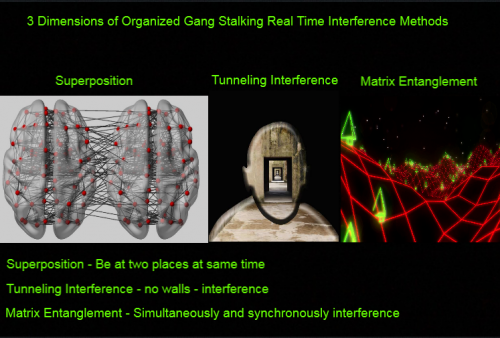 Then organized gang stalking is psychological warfare and political terrorism; is left brain domiance trying to destroy right brain from awakening, or a psychological warfare between the ego and higher self, or the brain and solar plexus brain in the stomach, or a invisble war about transformation of the ego, or is human living in some form of Matrix and humanity living mind-enslaved/captivated in this Matrix and no one can leave the Matrx. 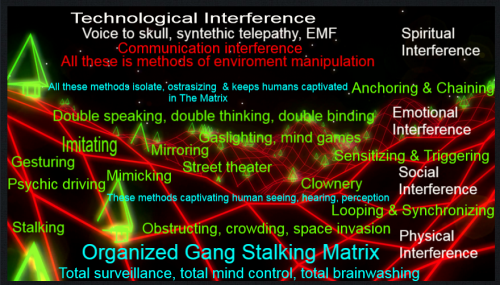 Is this Matrix and the Ego same and when humans starts spiritual awakening they start transforming these Solar Plexus Energies and this Matrix then starts attacking to destroy this transformation process. 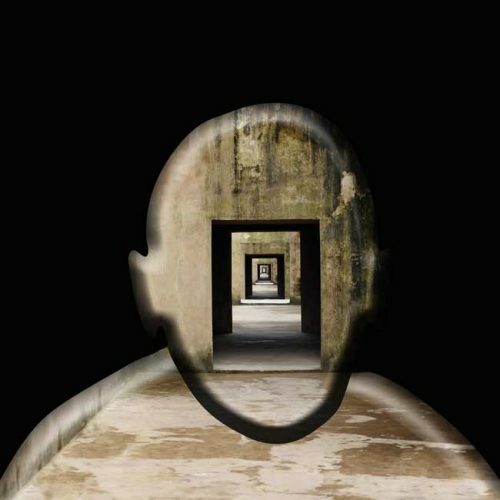 Human is born free, but in chains everywhere, and when human starts breaking these psychological chains of structure in the mind and ego The Matrix starts the desructive drive to madness or suicide process. 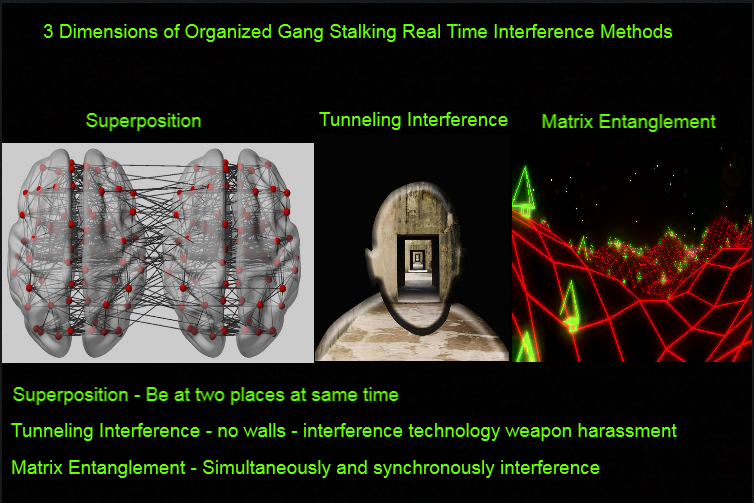 Here is same text or methods that´s is hidden covertly in organized gang stalking and their psychological warfare.